Polaroid, former king of instant photography, and Zink hooked up to develop a swell digital mobile photo printer. Zink is a ‘zero ink’ technology for high quality digital image printing. The picture quality is supposed to be extraordinary. 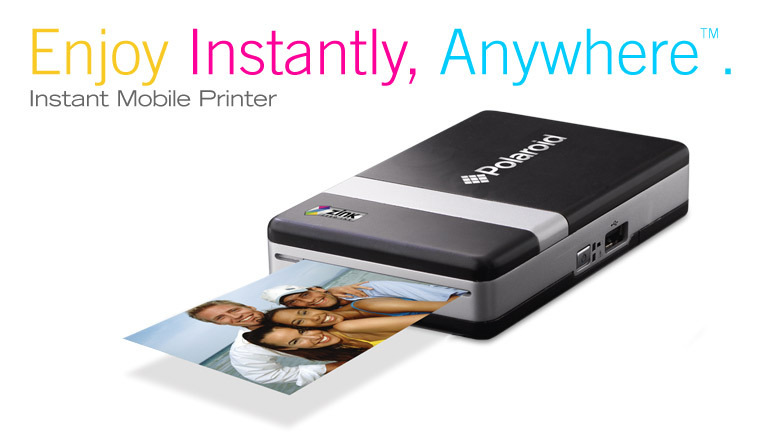 The printer produces borderless 2- x 3-inch color prints instantly when fed images from a digital camera or cellphone. Instantly printing images from a digital camera is as easy as connecting the USB cable to the PictBridge-enabled camera and printer. Once connected, follow the PictBridge screen on the camera display. Simply select what image to send to the printer and within 60 seconds, the print is ready to be shared.